The Bible helps to shape our understanding of Christian responsibility. However, different church bodies and individuals who claim scripture as an authority on ethics often reach different conclusions about moral life. 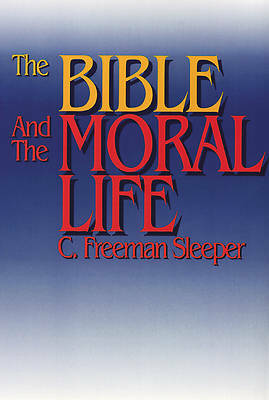 In this book, C. Freeman Sleeper describes how the Bible can be used as a guide to moral life. He shows how various church bodies use the Bible to speak to specific contemporary ethical issues and deals directly with the question of the authority of the Bible by taking up the teaching of four basic styles of moral reflection--law, prophecy, apocalypse, and wisdom. Sleeper reviews the way that church bodies developed and used social policy and draws a distinction between the way churches speak to their own constituency and the way they speak to the world. He considers in detail the ethics of nuclear war and abortion. Practical exercises are also provided throughout the book.